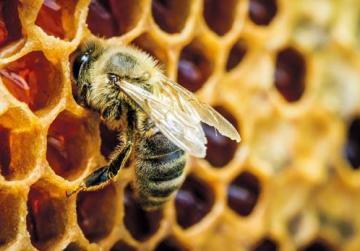 The biggest killers of honey bees are in fact pesticides and insecticides, sprayed in the open, according to environmentalist Alfred Baldacchino. These substances, he said, were not only terminating bees but studies had shown that the affected bees were passing on the chemicals to the honey when they flew back to their beehives. Mr Baldacchino was speaking to this newspaper following complaints from some beekeepers that this species of bird was increasingly feeding off their bees. 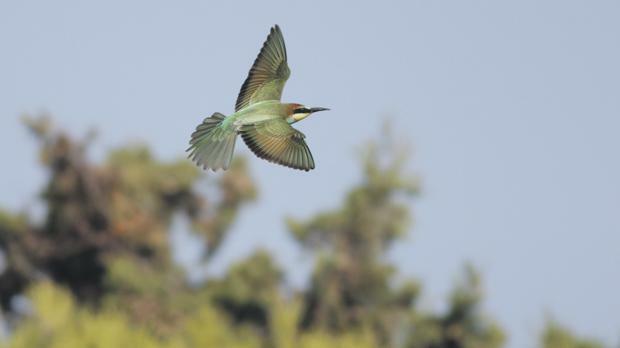 The bee-eater has recently started extending its stay in Malta because although it has always been a protected species, it used to be one of the most sought after. Following harsher enforcement and greater awareness, it was no longer hunted, Mr Baldacchino said. But he defended the bee-eater, saying it did not just feed on bees but also ate other insects, including the Oriental hornet, which recently drew fears in urban areas. And as part of the natural ecological cycle, it actually ate old or weak bees, freeing the colony of this burden. The study also showed that bee-eaters were instrumental in limiting the spread of some insect pests as well as reducing the spread of different types of wasps and beewolf. He explained that the bee-eater fed on all flying insects – from bees to moths, beetles, butterflies, dragonflies and wasps. Photos taken by wildlife photographer Shuki Cheled this summer in Israel even shows a bee-eater trying to swallow a bat. Still, it was not the only bird that ate bees – sparrows, starlings, several warblers as well as Il-Merill, or blue rock thrush, did so too at certain times of the year.